Brevity is power in marketing. Bursts of simple communication are more effective than eloquent and creative information overload. We call it S=URGETM. “S” is for speedy results and a Short-Story approach to all marketing. Our mantra is, tell your story in 10 words or less. “Urge” stands in for the Urge to buy. brevity: in various studies, the average number of words a person can memorize on one exposure is ten words or less. All of this is vital to what we call “burst marketing,” important now that “reach” exposures are prohibitively expensive. Multiple, short bursts of marketing exposures are cost-effective, and statistically more likely to generate results. Another way of expressing the idea: Keep it simple, stupid. This was hammered into our heads since grade school. No where is it more important than in advertising, online communication and branding. Our concept, aptly named S=URGE, defines all of our work. From advertising, to creative design, to online communication to real-time PR. Our research has shown, if you can't tell your main story in 7 words or less, you can't penetrate the audience message barrier. Trademarks are the ultimate expression of S=URGE messaging. Tridel's "Built for Life" trademark is a classic example of the famous Persona-developed S=URGE message. For Canada's leading condominium developer we developed the trademark, now used for over a decade, "Built for Life." Copied by many companies in different niches, the Built for Life message remains as fresh and effective today, in a crowded market, as it was years ago. Built for life carries two stories. Built for your life. Built to last a life-time. 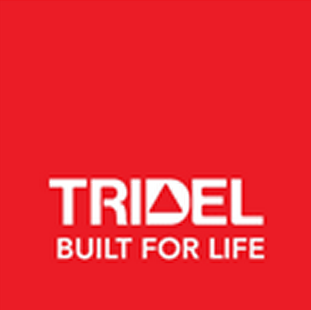 Tridel's Built for Life trademark is a classic example of Persona's S=URGE principal. Explain the concept in 10 words or less, uniquely positioned to express the brand.